Record low inflows and river levels in recent years have led to the drying of many wetlands in the Murray–Darling Basin (MDB). In some cases this has resulted in the exposure of acid sulfate soil materials. 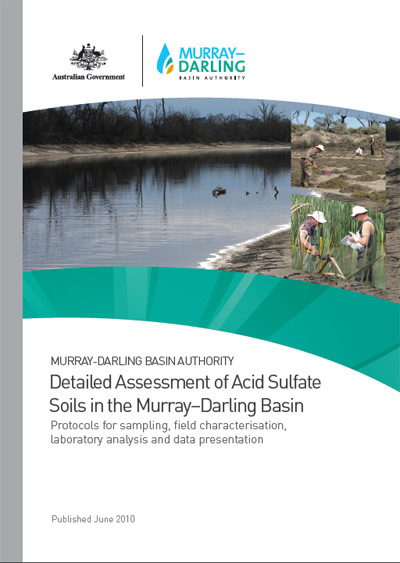 This report outlines the protocols for conducting detailed assessment of acid sulfate soils in wetlands throughout the MDB under the Acid Sulfate Soils Risk Assessment Project. The protocols comprise field sampling, field characterisation, laboratory analysis, data interpretation and reporting, and the assessment is conducted as a two-phase process.